Richard Jefferies was born on 6th November 1848. Each year the Richard Jefferies Society celebrate his birth with a Lecture as part of the Annual General Meeting. 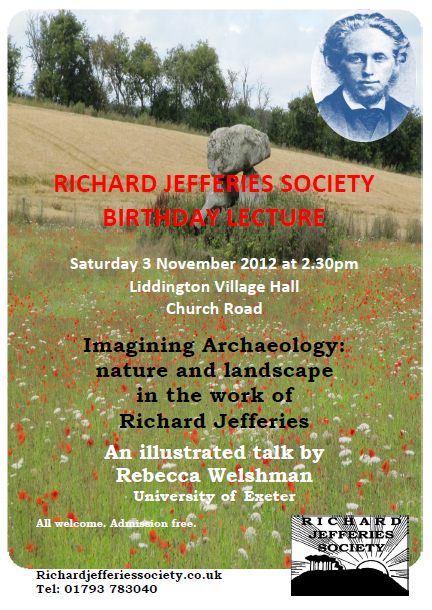 This year Rebecca Welshman from the University of Exeter will speak on the subject of "Imagining Archaeology: nature and landscape in the work of Richard Jefferies."